UtahRoots : How to Get and Keep 100% Engagement When Spring Has Sprung. How to Get and Keep 100% Engagement When Spring Has Sprung. Spring will eventually arive and when it does, student engagement threatens to go out the window. Every class has "that kid". The one whose hand seems spring-loaded to shoot up whenever you ask a question. And in every class "that kid" is out-numbered by those who have mastered the art of never getting called on and never volunteering. And then there's that moment when someone you least expected to answer a question raises their hand. Engagement! You call on them! And they ask if they can go to the restroom. Sigh. Take all of those possibilities, add spring weather and student engagement threatens to go out the nearest window. Is resistance futile? The good news is, it's not. 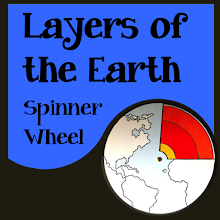 You can still keep students engaged after spring break and I'm going to share an easy way to do it. The key is demanding engagement. Easier said than done, you think. But really, it's all about the questions you ask and the responses you expect. Questions are not created equal. There are three basic kinds and they each get a different result. The first kind of question is the "Assessment Question" It's the one you're using when you say "Andrea, what are four ...". The second the word Andrea comes out of your mouth, all other students are free to mentally check out. You will find out what Andrea knows (or doesn't know). But you won't learn a thing about anybody else and you're allowing disengagement. It won't help to say "What are the four..." with Andrea's name tacked on to the end. The issue is that you're not demanding engagement and you won't get it. From anybody except possibly Andrea. The second kind of question is the "Open Question". It's a fishing expedition. 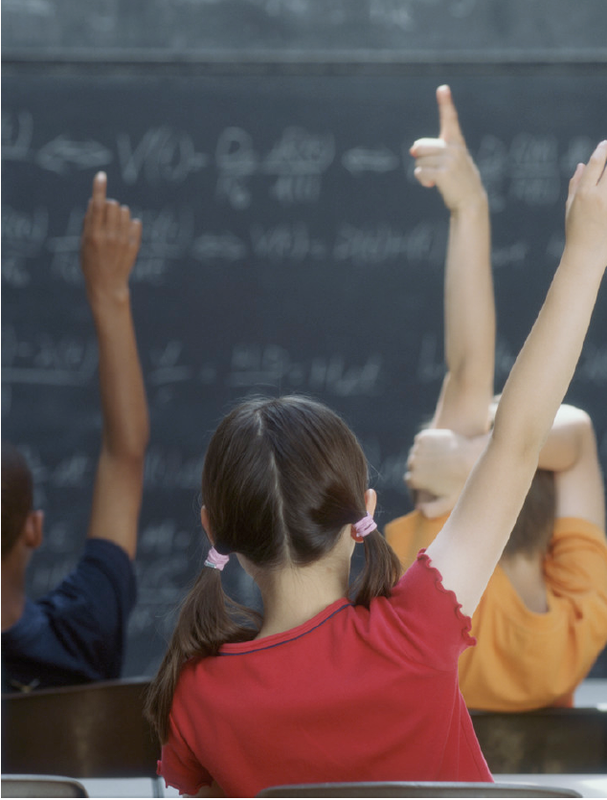 It starts with "Who can tell me..." Before you finish asking the whole question the spring-loaded kid has her hand up waving wildly. You wait. You remind yourself about wait time. You count to ten, waiting. Another hand tentatively goes up. You keep waiting. Another hand or two go up. You call on someone. And they ask to go the bathroom. Or they give a perfectly cogent and correct answer. Or they are so wrong that you have to think at the speed of light for a way to respond that is respectful but leads to someone else who might answer correctly. You'll find out what the few volunteers know (or don't know). But you won't know what anybody else knows. And since you phrased the question as a request for volunteers, the kids who would sooner die than answer a question out loud in class won't volunteer. Don't make the mistake of thinking they don't want to participate or don't know the answer. Any number of things can keep a kid from responding. Most ELL (English Language Learner) students have a period of months in the stage of language acquisition where they are receptive to and understanding English but are silent because they lack confidence. Even native English speakers may hesitate to speak up. They might fear being ridiculed, especially if they have a history of being bullied. They might not want to appear to be "nerdy". Or they might be anxious about not having the right answer. You'll never get voluntary oral participation from those kids, even if what they have to say is spot on. It's the third kind of question that will get those kids - and everyone else - to stay engaged and give you an answer. Not surprisingly, this kind of question is called an "Engagement Question". It requires a response. There are many versions of engagement questions. They usually start with the expected response. "Raise your hand if..." "Stand up if...." "Turn to a partner..." Often, engagement questions will result in an action like turning to the partner but what happens next may or may not give you any good information. You can't hear what they say to their partner. They might very well be raising their hand simply because the majority of other students are raising their hands. What makes a GOOD engagement question is a required answer, not just an action. 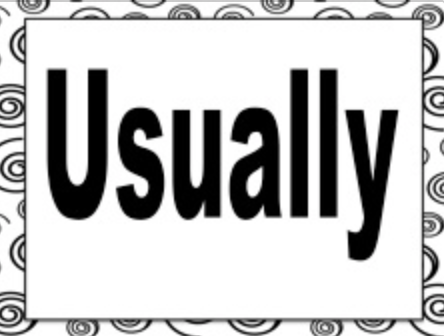 I've created a set of what I call "response cards". 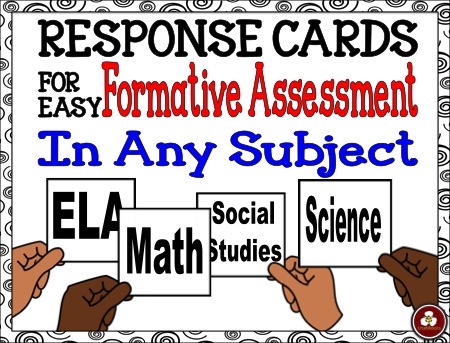 Response cards are like the answers to a multiple choice question. You ask the question, the students pick a response card. On your command, they hold up their response in unison. You see what EVERY student is thinking. 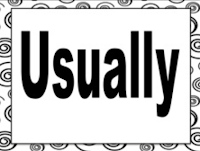 A critically important reason to use response cards is that students who might be reluctant to speak up will have a safe way to participate. You will see responses from every single student and be able to make a judgment about whether to proceed with your lesson or stop and clarify or review concepts. And you know what else? You'll see which kids are slow to raise their card, waiting to see what others have held up. Your eye will go to that late rising card like an eagle's eye goes to a moving rabbit. You'll have a chance to ask follow-up questions with that student to draw out the possible reasons for their uncertainty. 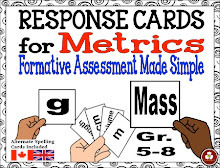 Response cards don't have to be used for questions that have only right or wrong answers. They can be used to indicate agreement or disagreement. They can be used in situations that require conditional answers (True, if.. Yes, except.. and so on). And you can even use them with multiple choice questions that you project on a screen by giving students response cards A, B, C, and D.
Great ideas! I think engagement gets harder and harder at this time of year! Response cards really DO keep every kid engaged. And they are so useful when you really need to know what EVERY kid is thinking!